We’re kicking off a series of "Historic America Road Trips” and the first one focuses on the homes and birthplaces of the signers of the Declaration of Independence. It was compiled by Betsy Havens, one of the members of The History List community; other members of The History List community have contributed to it. "I live in Louisiana and visited Washington DC in 2012 for the first time. I returned home a different person. I made a side trip to Mount Vernon while there and just fell in absolute love and total fascination with George Washington. After the DC/Mount Vernon trip I had a newfound appreciation for my country and its history. I was also alarmed at how little I knew beyond the basics. History was always one of my favorite subjects in school but I wasn’t motivated to learn anything more than what I had to learn to pass a test. Mount Vernon made such an impression on me that I became inspired to visit all founding father homes. I received the book,"The Founding Fathers, The Men Behind the Nation," as a Christmas gift, a few years ago, and began to realize how little I knew about our founding fathers. I also used that book as a launching point to start building my list and to start traveling to these sites. I have friends and family who aren't necessarily interested in history, but I feel like they've become more interested after following my travels to these historic sites, and this makes me really happy. My list isn’t a “this is the official list of founding fathers” list. It’s really more of a starting point. I've barely scratched the surface here. Most of these men aren't 'household names.' Making this list has helped me to learn more about the lesser known founding fathers like Caesar Rodney. They each have their own unique, fascinating story and all made an immeasurable contribution to our nation's founding!" Betsy’s original list included other patriots, too, so we created "Signers of the Declaration of Independence" and "Patriots of the American Revolution." Have you taken a trip to see some of America's great historic sites? If you'd like to share it with others, send it in and it may be the basis for another road trip we compile. And if it is, we'll credit you and give you your choice of a shirt from The History List Store. 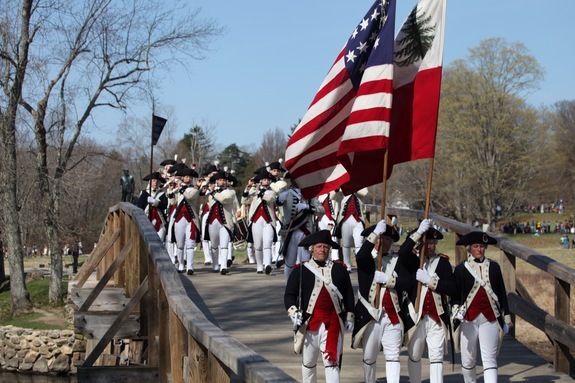 Thousands of people flock to historic Lexington and Concord and Minute Man National Historical Park every year to celebrate Patriots' Day, a special Massachusetts State holiday commemorating the opening battle of the American Revolutionary War on April 19, 1775. 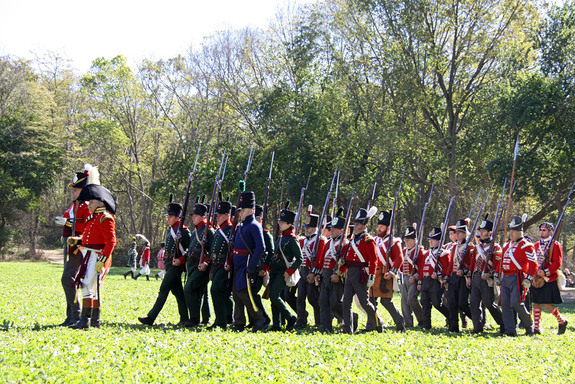 One highlight of the event is the "Parker's Revenge" Battle Demonstration on April 15 at 2 pm where hundreds of British and Colonial re-enactors will engage in a tactical weapons demonstration showing the running battle that took place on the border of Lincoln and Lexington. This Civil War reenactment covers not just one, but several major battles in both Savannah and Selmer, Tennessee. 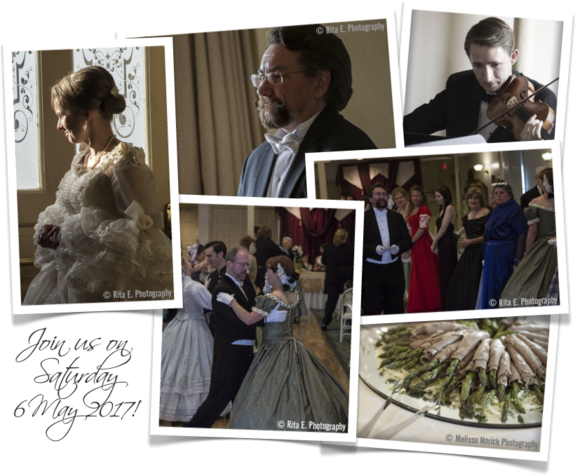 Activities include daily battles, civil war encampments, sutler area, 1860’s food, an evening ball on Saturday night, civil war music and crafts and many more. Occurring in 1836, the Battle of San Jacinto was the deciding encounter in the Texas Revolution. The fight lasted less than half an hour, but the president of Mexico was captured and surrendered, and Texas was able to become, at least briefly (10 short years), its own country. Now, an entire festival revolves around the battle, with a dramatic reenactment occurring in the midst of it all. Learn about life in the 18th century and witness one of the largest Revolutionary War reenactments take place in Mount Vernon. Watch hundreds of Continentals, Redcoats, Hessians, cannon, and cavalry in action and meet General Washington. Wander through the encampment and discover how Washington used to work, sleep and dine during the Revolutionary War. Learn more about military techniques, mapmaking and surveying and even a camp laundry demonstration. Take a glimpse of Virginia's wilderness in 1776 in this special event. Activities include tours of Cherokee warrior and colonial militia camps, tales about fort life, 18th-century merchants and colonial traders, an announcement about the Virginia Project and a special Sons of the American Revolution presentation featuring national speakers and a wreath-laying. On Saturday, witness and enjoy the frontier battles between the Cherokee warriors and the settlers. 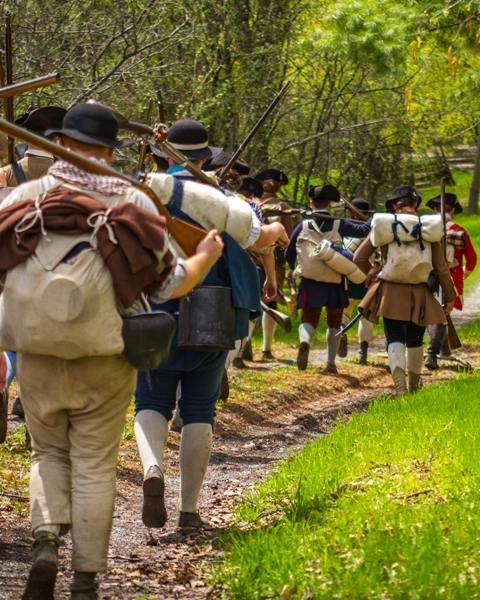 Taking place just a few short weeks before the actual 239th anniversary of the Battle of Monmouth, this reenactment pays homage to many aspects of war that we frequently associate with the American Revolution, including the well-known figure of Molly Pitcher. 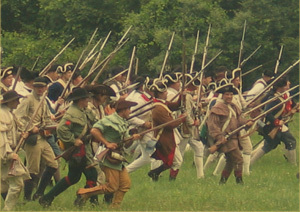 The reenactment is the largest living history event in New Jersey and has been an annual tradition since 1990. 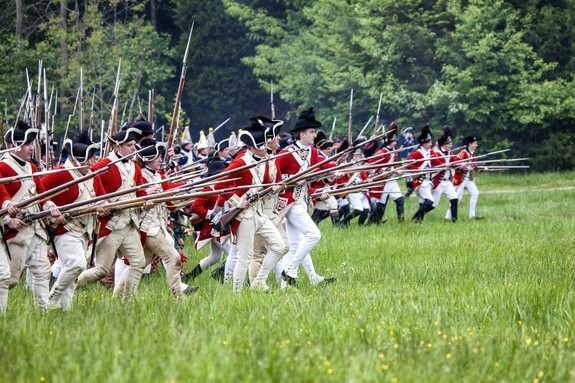 In addition to the Battle of Monmouth, the site is also home to an annual “Battle of New York” reenactment, recognizing the New York and New Jersey campaigns of the Revolutionary War. 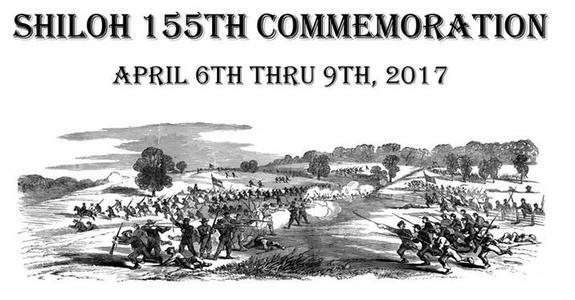 On the 154th anniversary of what may have been the most significant battle in the Civil War, you can enjoy three days of events and educational activities. Along with the battle reenactments, there is also a living history village that shows the civilian side of the war. New this year is a Youth Activities Tent with a wide array of activities such as enlistment, life and equipment of a young soldier, medical, drilling, a civil war art contest and honorable discharge. 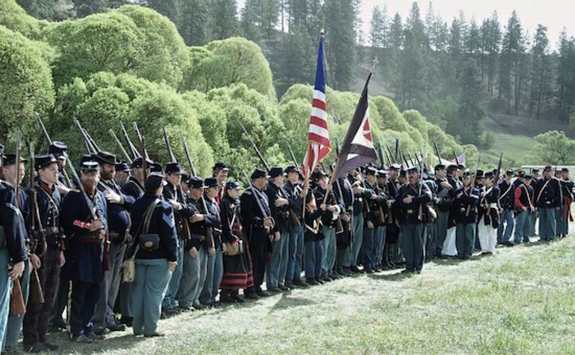 This amazing event encompasses living history at its best with civil war period clad individuals, from both the Union and the Confederacy, performing battle scenarios and offering historical information about their equipment and character. 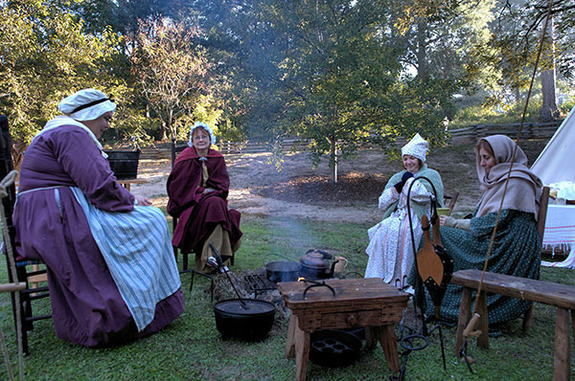 Between battle reenactments, you are invited to visit the Union and Confederate encampments and view authentic camp life and interact with dedicated reenactors—Union and Confederate soldiers, merchants, tradesmen, musicians, townspeople, farmers, chaplains, blacksmiths, and others who lived through those extraordinary times. Featuring nearly one thousand re-enactors as they defend and attack the village, around historic homes and shops occupied by townsfolk in period costume. 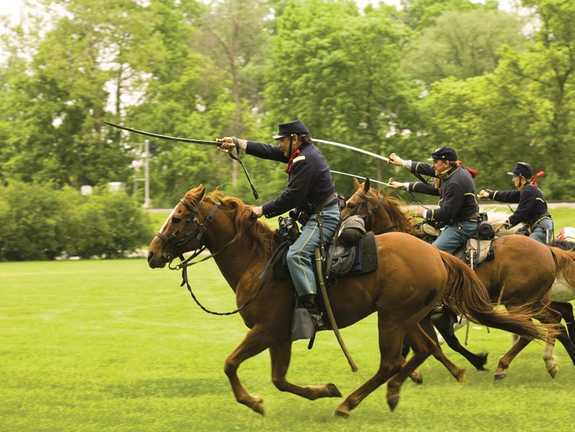 Each day, visitors will get a chance to witness two battle re-enactments at 11:30am and 2pm. Witness dozens of riders as they defend the surrounding community from being blasted by cannon shells and see the infantry maneuver around houses and shops, over fences, and through enemy lines as one side defends the village from being stormed. 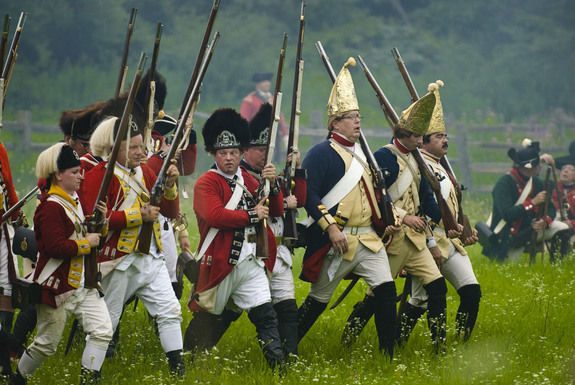 New England's largest military re-enactment with nearly 1,000 soldiers portraying British, Irish, Spanish, Scottish, French and Colonial troops. Watch mock battles and skirmishes, tour the British and American camps, listen to martial music, learn about the daily life of a Revolutionary War soldier, see a cannon demonstration, visit the battlefield hospital, and so much more. 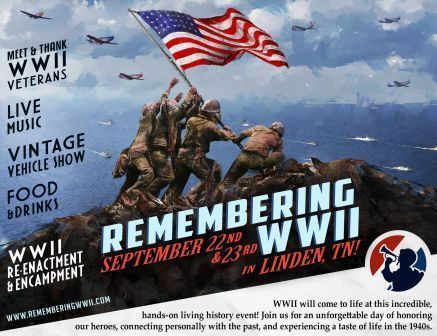 Come see what it was really like for those who fought to win America's freedoms. One of the largest and most realistic annual reenactment of D-Day - June 6th, 1944. This event features an Allied amphibious landing, a Tank! Two Inland combat scenarios, encampments, planes, boats, vehicles and an assembly of over 1,500 re-enactors from across the United States and Canada. Witness as more than 700 actors and historic interpreters come together to re-enact Colonel John Brown's raid on Fort Ticonderoga. 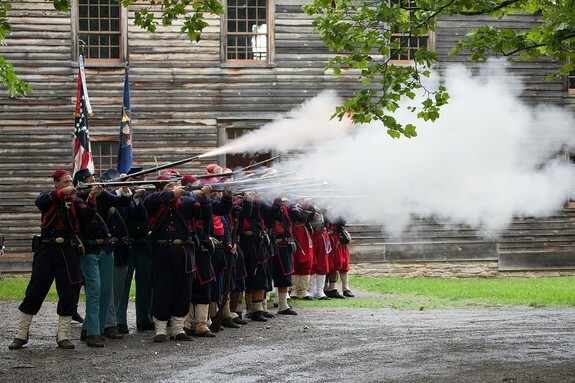 Activities include demonstrations of artillery firing, inspection of troops, musket drill and firing, and a boat tour onto Lake Champlain on Fort Ticonderoga’s vessel Carillon. Experience for yourself the most turbulent times our country has ever endured - the American Civil War. Hear the crash and boom of the artillery. Feel the weight of the rifles and packs that the soldiers carried. Meet the fine ladies in their gorgeous dresses. 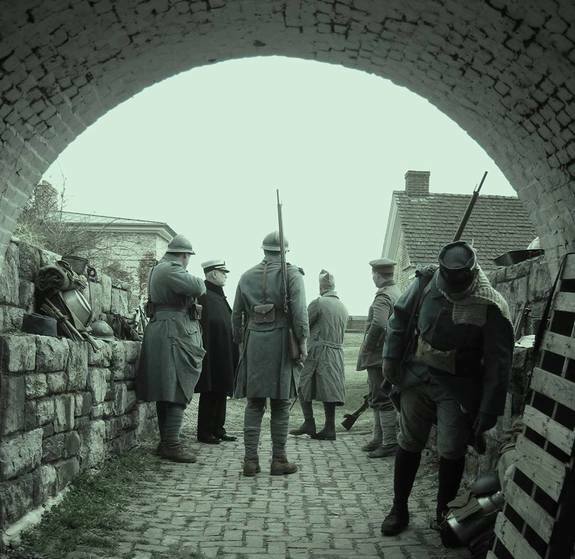 Watch as battles are reenacted, and honor the 700,000 Americans who died as a result of the war. Commemorating the Battle of Mississinewa, which took place in Dec. 1812, this reenactment depicts the first offensive victory for the young United States. 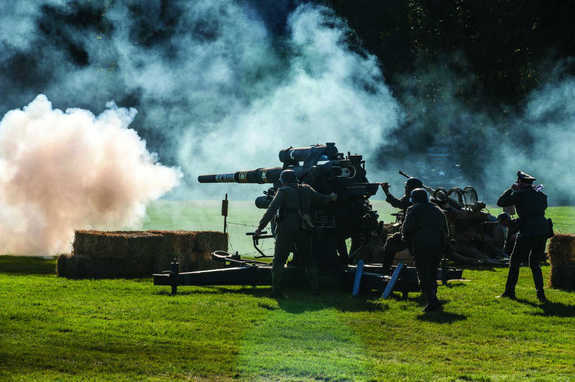 The living history attractions include not only the battle itself but also realistic military encampments, a Native American village (featuring an authentic long house that has existed since 1752), a historic “town,” and historic dining and entertainment. If you have a favorite that belongs on this list, please let us know. 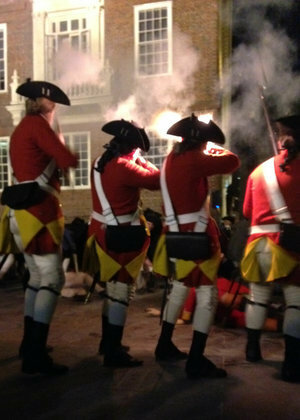 Witness this infamous event, authentically recreated in front of the Old State House by living historians. Before the action unfolds, hear patriots, loyalists, and moderates talk about the events and attitudes that led to that fateful night. See more detail on this event's page on The History List. 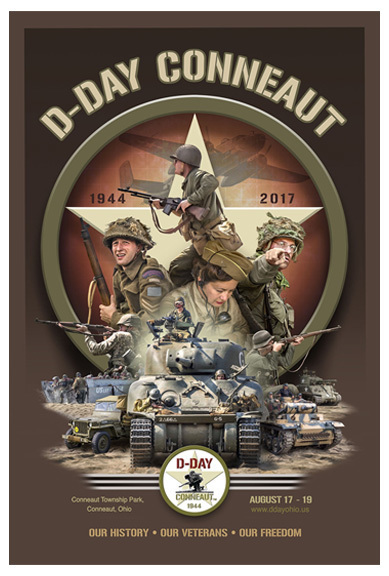 Texas’s largest living history event features fully restored and operational military vehicles, a military swap meet, historic small arms demonstration, a chance to ride a UH-1 Bell Iroquois helicopter and shoot a 75mm Pack Howitzer, battle reenactments and a junior G.I. zone for the young ones. Family friendly. This celebration of Grand Ledge’s Victorian heritage includes demonstrations and themed activities such as spinning, weaving, knitting, basket making, letterpress, hand reading, scrimshaw, soap making, gentleman’s duel, Civil War games, riverboat rides, moustache contest and many more. The Grand Victorian Ball on Saturday night includes an appearance by Her Majesty Queen Victoria and Prince Albert. On Memorial Day weekend, honor the sacrifices and achievements of the 3 million people who fought in America’s Civil War in Greenfield Village. Join hundreds of Union and Confederate reenactors, civilians, musicians and historic presenters and learn more about this pivotal time in American history through various exhibits, presentations, battle tactics demonstration, hands-on activities and insights from historians. The Bostonian Society has a new play about the trial of the officers called “Blood on the Snow” that has gotten rave reviews. It takes place in the Old State House where the trial took place. Seating is very limited. Written by the late American playwright Kermit Hunter, "Unto These Hills" retells the sufferings of the Cherokee tribe over the course of 300 years. This live, outdoor production takes place every Monday through Saturday evening at 8pm. Relive the swing era with this 1940’s WWII Era Ball. 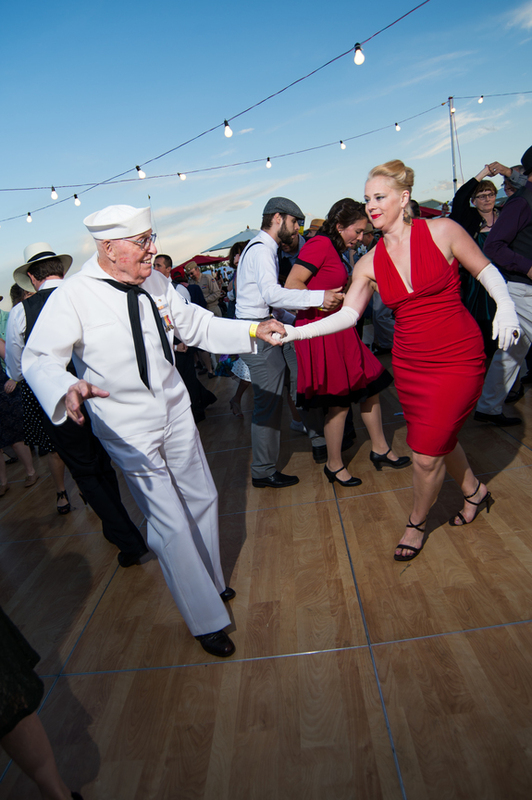 Featuring Circa-World War II vehicles, planes and reenactors, a hangar replicating Rick’s Cafe Americain with belly dancers and a roulette table you can play on. Watch performances from Bob Hope, Frank Sinatra, Hollywood’s Satin Dollz & the world famous Glenn Miller Orchestra. Cap off the night in authentic 1940’s style with a radio announcement proclaiming the end of the war complete with a confetti drop and celebration! 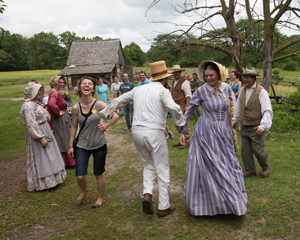 Visit the 1850 Pioneer farm and experience how weddings are done during Iowa’s time of settlement. Discover the most popular gifts for a pioneer bride, help in the “shivaree”, play a good-natured and very noisy prank on the wedding couple, test your dancing skills and share in refreshments of cake and lemonade. Over the course of the four days, 100+ vendors will close streets and fill parks with food, live music, beer, entertainment and more to celebrate the legendary explorers, fur trappers, and Native Americans who opened commerce in the American West. 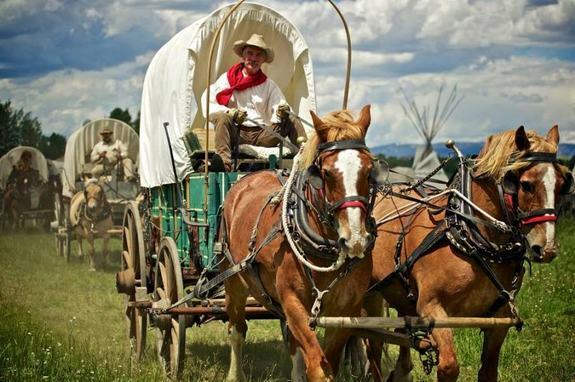 From visits to the Museum of the Mountain Man that bestows Jim Bridger's rifle to the return of the Green River Rendezvous Pageant and nightly rodeos. Cultural events will be in high supply. A full week dedicated to the Revolutionary War, The War of 1812 and the settlement of lands around the Ohio River. 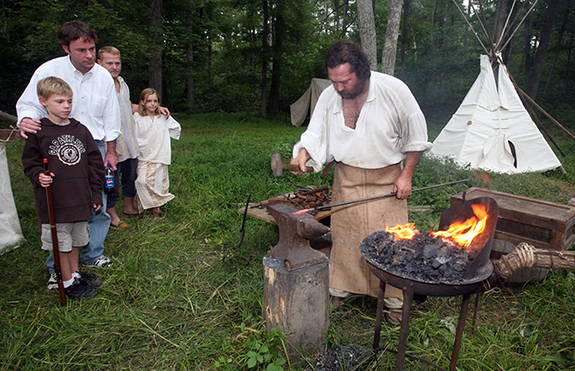 Historical programs such as tomahawk throwing, black powder rifle demonstration, spinning and weaving, 18th century poultry care, primitive fire making, atlatl demonstration, pioneer clothing interpretation, flint knapping, old time machinery, woodcarving and other life skill demonstrations are scheduled throughout the week. Get your adrenaline pumping in this most entertaining event showcasing the technological advancements in air and ground transportation from the late 1800s through the mid-1900s. 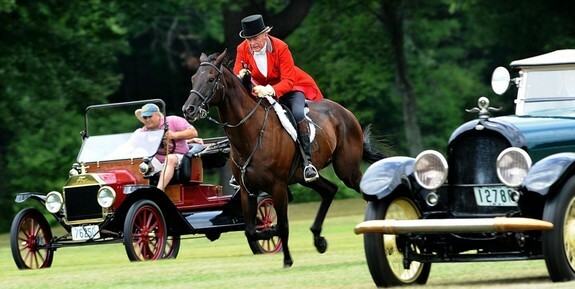 See an amazing display of carriages, carts, horses, steam engines, flying machines and military equipment. Over 70 automobiles, race cars and historic aircraft and tanks will also be open for viewing. Experience authentic German Folklife in the 18th and 19th centuries. Over 500 volunteers are dressed in period clothing. Witness the use of authentic tools to recreate traditional home skills, trades, pastimes, foods, and folk music. Immerse yourself in the sights, sounds and smells of a day in Goschenhoppen. 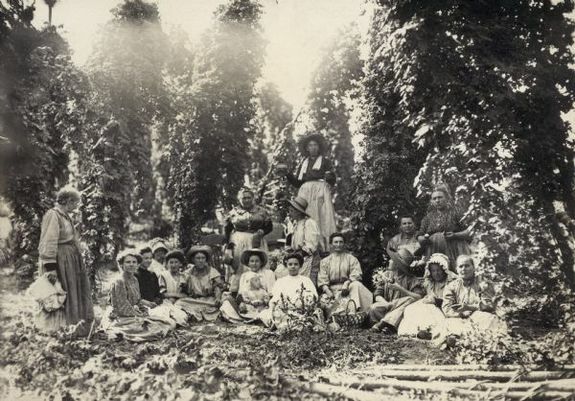 Celebrate the end of summer with a visit to Old World Wisconsin. Join other guests and take part in a traditional community harvest. Afterwards, grown-ups can enjoy a cold beer in the German Settlement area and learn about historic beer brewing. Rootbeer and games are also available for the younger guests. A WWII reenactment and WWII Veterans round table discussion with over 300 re-enactors representing several branches of Allied and Axis military participating in an amazing re-enactment. Fully restored military equipment of all kinds will be on display and participating in a dynamic educational living history event. Some of the vintage equipment includes tanks, cannons, troop carriers, half tracks, aircraft and support supplies. Come and experience one of the most significant event in Tubac’s History, when Spanish explorer Juan Bautista de Anza made the 1775 overland expedition from Tubac to the Pacific. 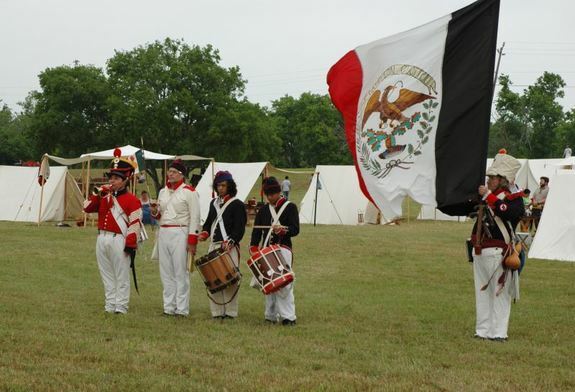 Showcasing period costumed riders executing cavalry drills reenacting the historic journey as they head north with the first day objective of La Canao. Children will also take delight in the Anza Discovery Program featuring costumes, activities, props and ponies. Experience the colonial past come to life through demonstrations and living exhibits. Featured attractions include horn smithing, pottery, a tomahawk throw, butter churning, weaving and spinning, quilting, candle making, scrimshaw, pewterer, musket firing demonstrations, calligraphy, gunsmithing, blacksmithing, woodworking, and meat smoking and curing. Discover the epic story of Henry Knox's "Noble Train" of artillery at Fort Ticonderoga's upcoming reenactment. Watch as soldiers, work as carpenters to maintain the fort. Examine the science of gunnery, preserved in Fort Ticonderoga's massive cannon collection. Stand inside the stone walls in the stark beauty of winter on the very spot where Henry Knox began his Noble Train of Artillery. The event will feature an exciting program highlighting Henry Knox's arrival to Fort Ticonderoga and recreate the beginning of the incredible feat that ultimately forced the British evacuation from Boston on March 17, 1776. Relive one of the most iconic public protest in American history at Old South Meeting House, the actual historic landmark where the colonists met in 1773. Witness the debate over tea tax and demand for liberty from the British crown.Then join the procession to Griffin’s Wharf and witness the destruction of the tea as the Sons of Liberty storm the Brig Beaver. 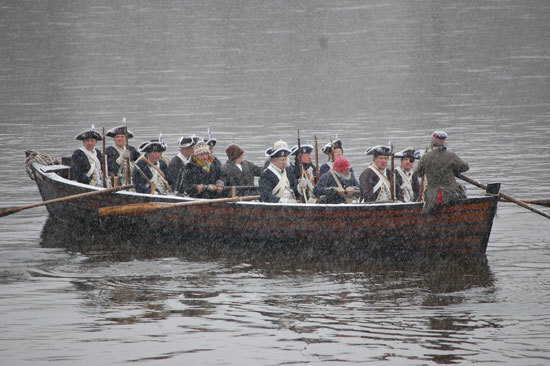 On Christmas day, join thousands gather on the banks of the Delaware River to listen to an inspiring speech by Gen. George Washington and watch as they row across the river in replica Durham boats. Those who cannot attend on Christmas can watch a full dress rehearsal about two and a half weeks before the Christmas Day Crossing. 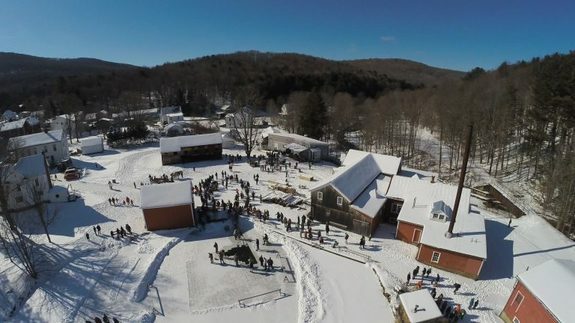 Each year on the first Saturday of February, Hanford Mills Museum celebrates this rural tradition with the Ice Harvest Festival. Using historic tools and techniques, visitors can cut and manoeuvre blocks of ice from the Mill Pond, and then transport the blocks to the ice house by sled. Food, demonstrations, bonfires, and vendors round out a day of hands-on history and winter fun. Do you have a list you'd like to contribute? If so, send it to us and we may publish it here and on Facebook and elsewhere. If we do, we'll make sure that you get credit, and we'll send you your choice of any of our original t-shirts. I started The History List in 2011. 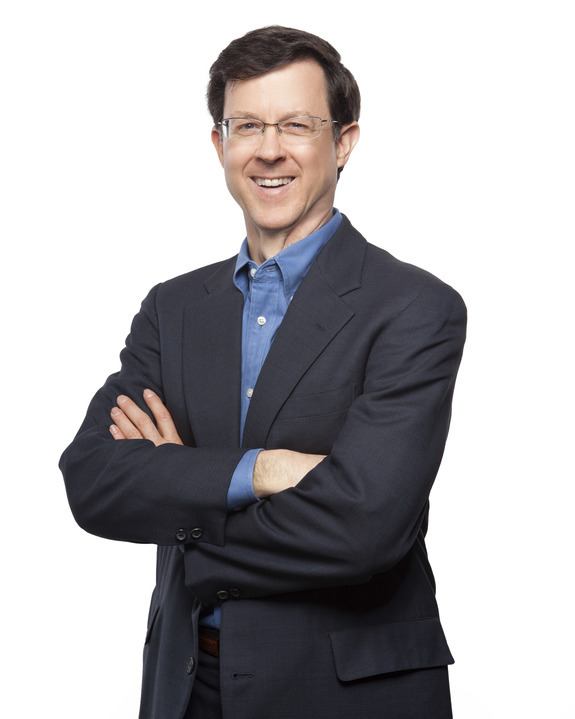 Today it's grown to be the largest list of history-related events and exhibits, and it's led me to compile the largest list of history- and preservation-related conferences and courses for professionals, as well as launch weekly newsletters with history events in states and regions, as well as newsletters with marketing tips for history organizations. You can learn more about these newsletters and subscribe here. And since launching The History List, I've also started History Camp and The History List Store. As we start the new year, I thought I'd come back the beginning and take you through why I started The History List. We wanted to learn more about our house, so I visited our local historical society. Before long I was on the board and started creating our society's website and e-mail newsletter and saw the challenges our all-volunteer, member-supported historical society faced. → We needed a way to get the word out about our events, and it needed to be something we could afford, which meant it had to be free. → We needed a way to manage the event information on our site. Sometimes I had the details and could add them; in other cases, someone else had the details. Working with my colleagues on the board, I convened an "Idea Exchange" (pictured below) open to all history organizations in New England. 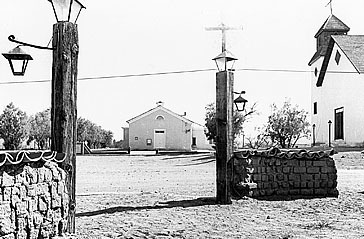 Most of those who attended were with all-volunteer historical societies. → Nearly all of the organizations had the same challenge we did: Getting the word out and attracting people to their events. I met with executive directors of local historical societies who discussed getting a grant to hire someone to manage the process of collecting event information from each member, compiling a newsletter, and sending it back out to the members of all of the participating organizations. → That seemed like a lot of effort and expense. → Individuals would only receive information about events from organizations that participated in this group, regardless of where the individual or the other organization was located. I attended an outstanding reenactment near where we live that I only found out about because I drove past the local fire station and saw a painted plywood sign out in front promoting the event. It was a beautiful fall day and the event was really well done, but there weren't nearly as many people there as there should have been. → If information about the event had reached more people, I knew there would have been hundreds more in attendance. At the event, I asked one of the reenactors how I could find more events like this one. He gave me his business card and suggested that I contact him in the spring. → There should be a place where things are listed online. There were many online calendars, but our history events were buried and hard to find. There were several online calendar systems, but none fit the requirements I had. → Took into account distance to travel so it could include events anywhere, including in rural areas. → Simple, easy to use, with a clean interface. → Could be configured so that anyone with an account could enter or edit. → Handled all kinds of event repeating patterns, including ongoing events, such as exhibits. → Enabled organizations to enter lengthy, detailed information (text and photos) about their events. → Enabled individuals to interact with these, including posting comments. → Could be set up and provided as a service. If you have questions or suggestions, please let me know. I read every question, and frequently your suggestions are the basis for new features and new products.